It’s color forecast season! 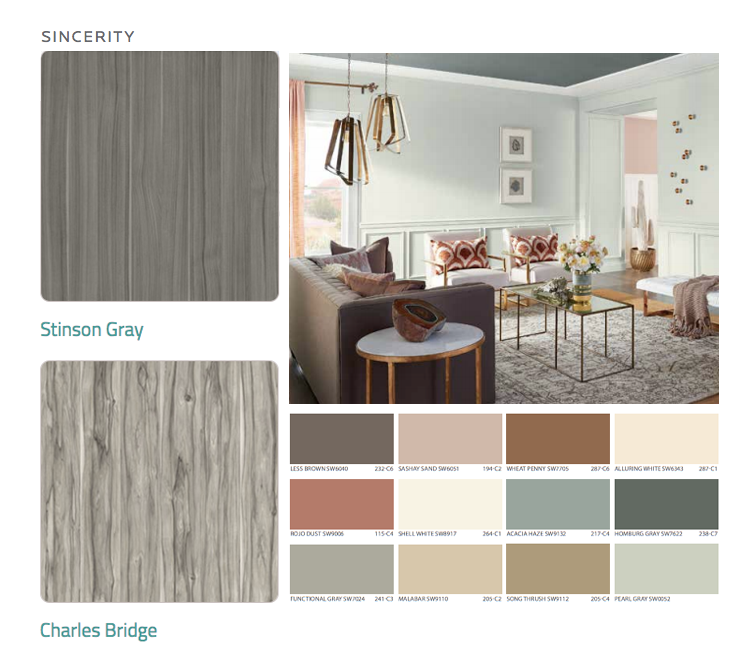 The 2018 Sherwin Williams’ Colormix Color Forecast Selection has been released and features three pleasing palettes: Sincerity, Affinity and Connectivity. Countering and complementing current events, changing lifestyles and evolving values, these collections are sure to inspire new interior designs in the coming year. We had some fun pairing them with Arclin TFL designs. Take a look and get your creative juices flowing! Less is more with the Sincerity palette. Influenced by calm, minimalism and the coziness of hygge – more on that here – these subdued colors evoke a lifestyle that embraces de-cluttering and where silence is sought after. Against their softness, the texture of Arclin TFL designs Stinson Grey and Charles Bridge add depth while letting the colors set the mood. With the world in flux, we are craving both security and adventure. Arclin TFL design Cambridge Classic provides a strong anchor for a palette that aims to exude optimism, community and transculturalism. At the same time, these energetic pops of color give a nod to artisanal crafts as does the texture seen in the complementary Noce Moscato. Together, creative spaces can emerge. 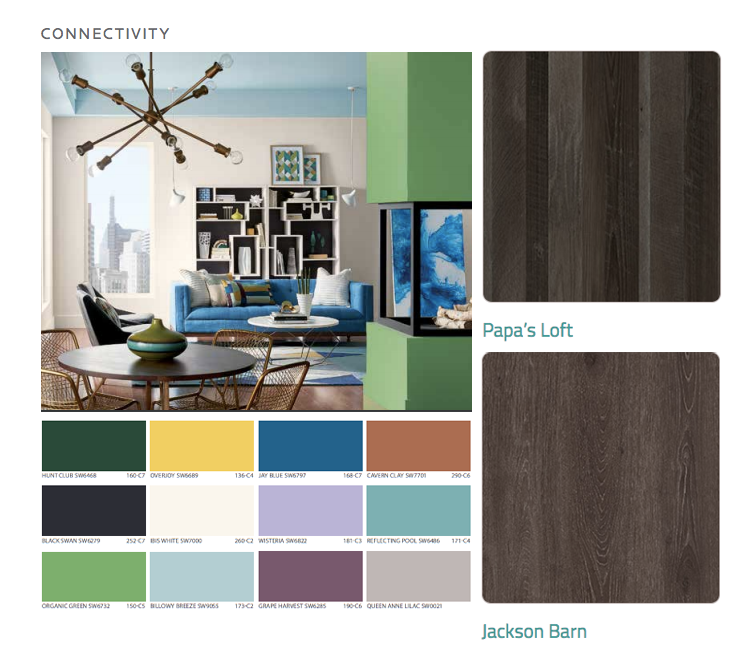 Influenced by our increasingly tech-infused world, the adaptation of virtual reality and environmentalism notes that dot daily conversations, the Connectivity palette mixes highly saturated yellow, orange and violets with earthy greens. Papa’s Loft and Jackson Barn are rich enough to play along and set the stage for a modern and smart environment. 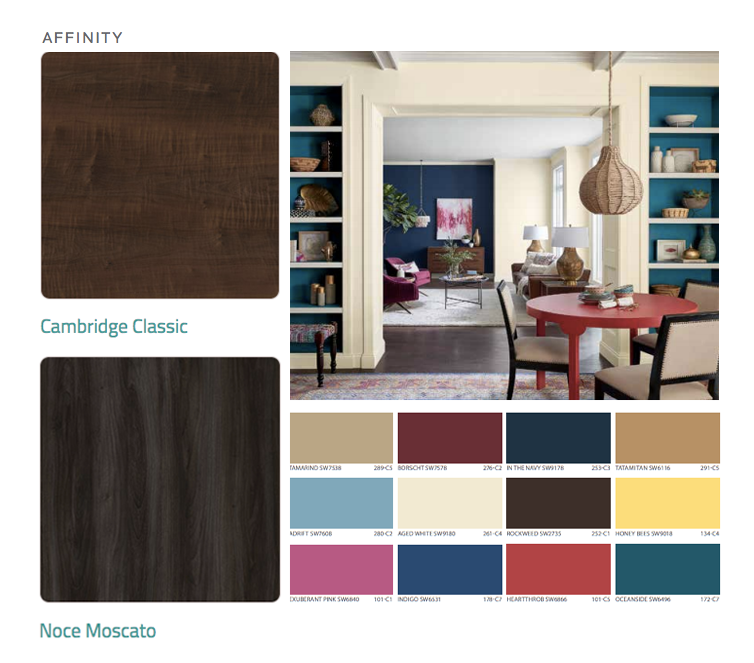 When pairing Arclin TFL designs to the Colormix Color Forecast, the possibilities are endless. Take a look at our design library to see what you want to mix and match.